Credit cards are a double-edged sword. Depending on the scope of your credit, obtaining and using credit cards may actually improve your credit score. On the other hand, they have the potential detriment of your ability to qualify for a mortgage. A credit card payment eventually becomes an obligation or rather a liability. When a mortgage lender qualifies you for a loan, they take 45 percent of your gross monthly income less any current and present liabilities. These present liabilities include credit cards as well as any other payment obligations. The net result is your new total mortgage payment that you could qualify for. Credit cards help your credit score because if you used your credit card well it can be used to show a satisfactory payment history, which supports having a healthy high credit score. An example of a healthy and high credit score is a score over 700. If you look at it from a different perspective, paying credit card balances on time improves your credit score. At the same time, paying your credit card balance reduces your ability to borrow, if there are any balances which carry payments. The idea is you want to use credit cards to essentially finance a higher credit score. How does it cost you? Paying interest on a credit obligation over time essentially finances your good credit score, which you will need when it comes time to apply for a mortgage. The key is to pay off the credit cards down to 30 percent of the total allowable credit line. The best thing you can do is to pay them off in full. When each credit card is paid off in full or paid down to the appropriate balance (remember 30 percent is a good goal), find out from each creditor when they specifically report to each of the three credit reporting bureaus — Transunion, Equifax and Experian. The key here is to find out specifically from each creditor when they report to the bureaus. The goal is to have each creditor report the most recent balance to the bureau. It is ideal to do this when the mortgage lender pulls your credit report. At this time it shows the highest possible credit score and you will get the best deal on rates and mortgage loan terms. Pay off credit cards off in full if possible and avoid debt the next month. Remember, paying off a credit card in full every month will show a credit card payment depending on when the creditor reports to the credit bureaus. Avoid letting a previous credit card balance in dispute go to collection or charge-off status. Your lender will require you to show a zero balance when it comes time to getting a mortgage on any previous balance in the charge-off or in the collection status. Be wary of co-signing for anyone on a credit card. If someone else does not make their payment obligations, your credit score will be reduced. This makes the cost of your home loan higher than it would be if your credit score was better. If you can consolidate credit card balances into one account via a balance transfer with the total payment of liabilities combined or lower, do it if you are not able to pay off the balances. Doing so will reduce the total payment obligations which will improve your ability to qualify for mortgage financing. Do not ignore secured cards. A secured credit card is a fantastic way to start to building a credit score or to repair a bad credit score. As crazy as it might sound, closing out a credit card account causes the creditor to report to the credit bureau that the account is closed. This signifies a shut off of available credit which over time reduces your credit score. It is ideal to keep the credit card account open with inactivity. The bottom line is credit cards are great for building a credit score and maintaining solid history of obligation repayment. Lenders will also be looking for at least two to three credit lines when you go to apply for a mortgage, so be sure to have open credit cards. These other open credit cards can have no balances or balances of 30 percent of the total allowable credit line or under. For example, a credit card with a $1,000 spending limit should not have a balance exceeding $300 at any given point in time. In fact, debt spread over multiple credit cards with each credit card at 30 percent or less than the total allowable line will maintain a healthy credit score. Scott Sheldon is a senior loan officer and consumer advocate whose work has appeared in publications such as Yahoo! Homes, CNN Money, MarketWatch, Business Insider, Zillow, Fox Business News, and The Wall Street Journal. 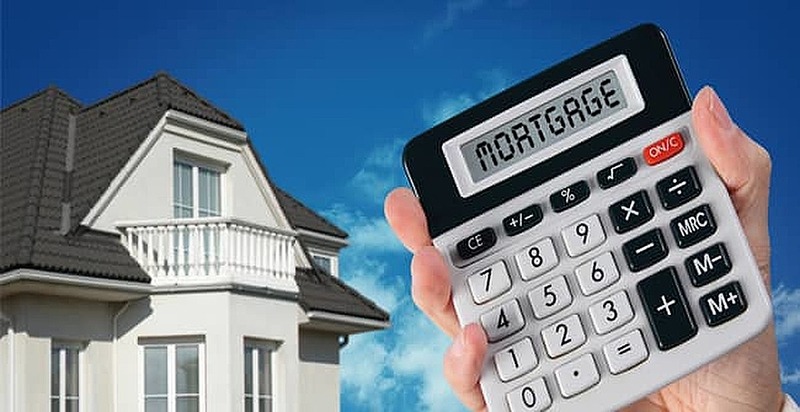 An expert on mortgages and various housing costs, Scott's advice helps current and prospective homeowners make the most of their budgets and navigate the complicated jargon of the home lending industry.